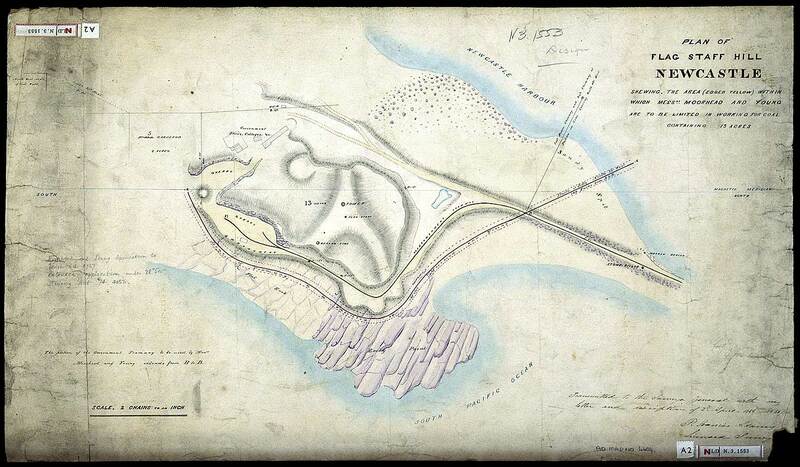 Full Title: "Plan of Flag Staff Hill Newcastle shewing the area (edged yellow) within which messrs Moorhead and Young are to be limited in working for coal containing 13 acres." Below: "Transmitted to the Surveyor General with my letter and description of 2nd April 1856. P. Francis Adams, Licensed Surveyor."